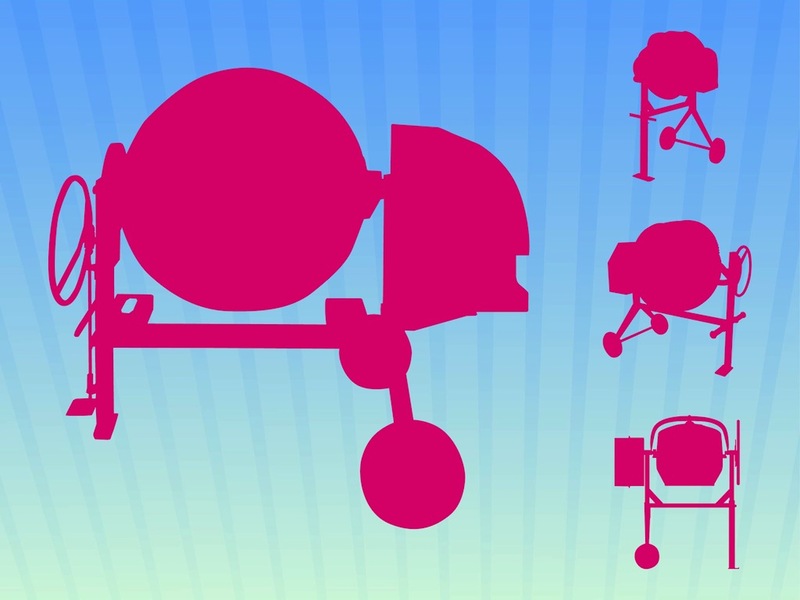 Vector image collection with cement mixers. Silhouette graphics of the objects seen from various angles. Solid color illustrations for all constructions, builders, building materials and architecture design projects. Free vector silhouette graphics to use as stickers, decals, logos and instructional images. Tags: Architecture, Building, Cement Mixers, Decals, Silhouettes, Stickers, Wheels.